25 year old Trinidadian rum from Silver Seal's Rum is Nature range. 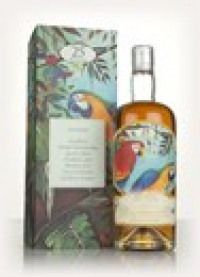 It was distilled in 1991 and bottled in 2017 with an outturn of 312 bottles, all presented with a pandemonium of parrots on the label. Yes, "pandemonium" is the collective noun for parrots.